Many of us have trouble imagining Mississauga as anything other than the busy, grid-locked sprawling urban city that we know today. However trading business and industry began hundreds of years before. 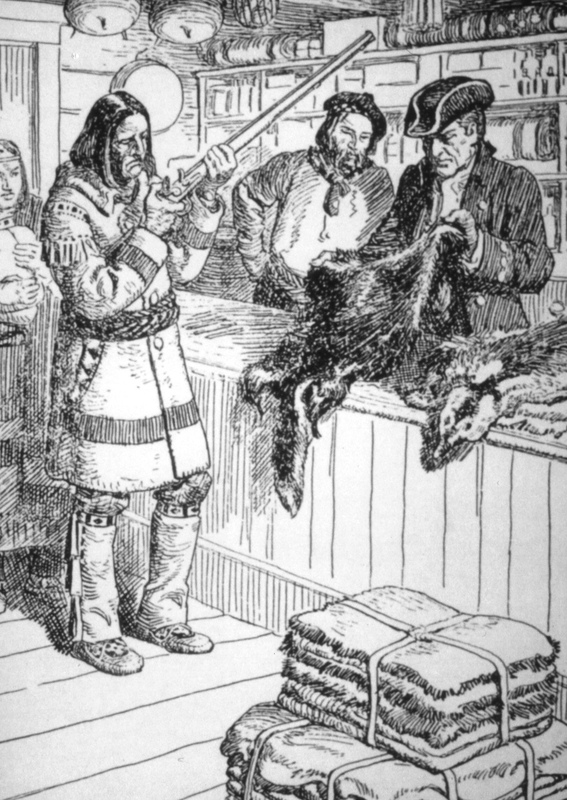 Trading with the Mississauga Natives began in the 1700’s when Europeans arrived and traded their goods on credit at the mouth of the Credit River to be repaid with furs the next spring. As the Pioneer wave continued throughout the 1800’s, premium land was in demand, specifically when located close to water. Although the Mississauga Purchase of 1805 opened up more land for cultivation, the Mississaugas still controlled one mile either side of the Credit River. It was not until further treaties signed 1818-20 and known as the Second Purchase that pioneers began to have access to water enabling grist and lumber mills to be established; prior to this date, all local lumber had to be cut by hand. By 1847 when the Mississaugas moved to the New Credit Reserve at Brantford, water was more accessible and mills had become widespread. Since they supplied most of the pioneers’ immediate needs, houses, stores, inns and blacksmiths began to be established around them and small villages emerged. Land was fertile and forest, game and fish were plentiful; new roads and communication links were required to allow for trade and the movement of goods. Construction of the major roads of Dundas and Hurontario, in addition to the government’s development of the Port Credit harbour in 1834, allowed grain and other goods to be traded. Hotels and lodgings also grew as farmers transported their crops for sale and stopped off overnight; breweries grew up to furnish taverns with liquor and another industry was born.